If you are after an iPad Mini 2 with that glorious Retina screen Three may be quite a good bet. The network has quoted the following prices. 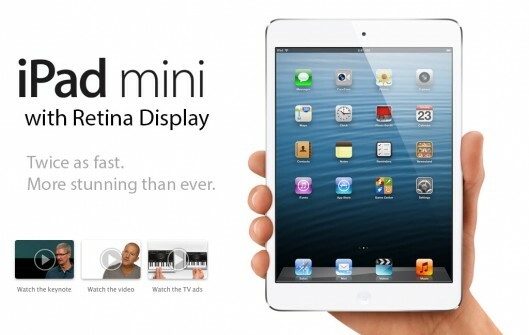 The iPad mini with Retina screen will be on sale from the network by Friday. £419 upfront cost on a one-month rolling contract that is available with either 1GB of data for £7.50 a month or 10GB data for £15 a month. £499 upfront cost on a one-month rolling contract that is available with either 1GB of data for £7.50 a month or 10GB data for £15 a month. £579 on a one-month rolling contract that is available with either 1GB of data for £7.50 a month or 10GB data for £15 a month. We are still waiting to see how the other networks respond. The cheapest price for the iPad mini Retina on the Apple store is £319 for the 16 Gigabyte version.